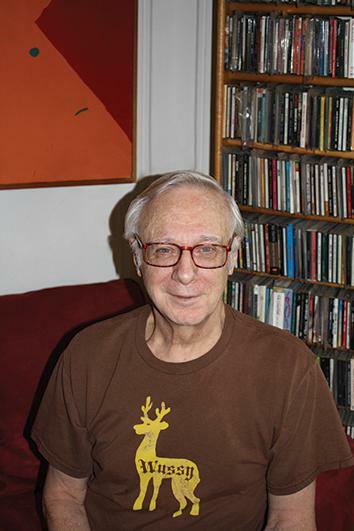 Robert Christgau’s memoir Going Into the City, reviewed. Critics of any generation succeeding Christgau’s (he was born in 1942) will likely read Going Into the City with a roiling mix of emotional responses. 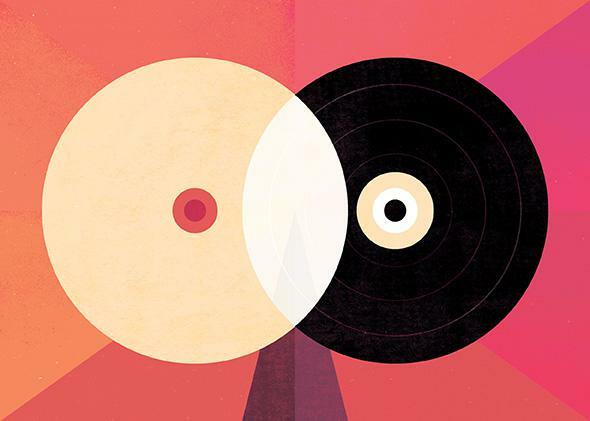 Amazement at the author’s prodigious powers of memory, whether for the musical trivia of his working-class Queens childhood—the first two 45s he bought in ninth grade were Doris Day’s “Secret Love” and the Crew Cuts’ “Sh-Boom”—or for decades-past moments of physical sensation, like that vividly recalled prom-night hard-on. Envy at this 72-year-old polymath’s seeming effortless productivity and inexhaustible appetite for pop-culture novelty. Nostalgia (an emotion the author himself professes to shun) for the long-gone New York he describes, when bohemian couples could afford to keep two apartments in the same East Village building—a cockroach-infested and frequently burgled building, but still. Christgau, the half-mockingly self-proclaimed “dean of rock criticism,” has been at once immeasurably influential and perversely inimitable over a period of more than four decades. For 32 years he was the chief music critic and a senior editor at the Village Voice, where he helped to launch the careers of countless younger writers while rubbing elbows with (and on at least one occasion, throwing a piece of pie at) some of the best critical thinkers of his generation, including Lester Bangs, Greil Marcus, and Ellen Willis (the target, after their prolonged and traumatic breakup, of that vengefully lobbed slice of pastry). But music obsessives of any age and gender might reasonably be disappointed in the opportunity cost of Christgau’s choice to delve as deeply into his romantic past as he does into his professional one. For an autobiography by America’s pre-eminent rock critic, Going Into the City offers a surprisingly skimpy account of the history of popular music of the last few decades. Whole eras—the British Invasion, the rise of hip-hop—are condensed into a handful of personal anecdotes. Often, Christgau’s memory of the way he or another critic covered the story of a musical phenomenon gets more ink than the phenomenon itself—for example, we learn a lot about Willis’ career-making essay on Bob Dylan but very little about what Dylan’s advent meant for popular music as a whole, not to mention what it meant to Christgau (who has frequently asserted his stance as an anti-folkie). Also frustrating is the scarcity of vivid character portraits of the many fascinating figures Christgau worked or crossed paths with over the course of his career. Marcus and Bangs—two writers who, along with Christgau, helped turn rock and pop criticism into both a serious academic pursuit and an art in its own right—flit through the narrative too briefly to come into focus as individuals (though Marcus’ work, particularly the 1975 essay collection Mystery Train, comes in for fulsome praise). Late in the book, as Christgau’s social and editorial circle grows wider, the page can become a thicket of proper names without enough story behind them to justify their inclusion. Describing a cross-country trip with his beloved Carola, he writes: “We feasted on the most sumptuous peaches of our lives while waiting five days for a new engine in Florence, South Carolina and made out in the Rio Grande mud of Big Bend National Park—where we also took a trail ride with Voice staffer Paul Cowan’s family, after we ran into Paul in the coffee shop.” The first two details are arguably colorful enough to warrant inclusion in a memoir; the third makes a sharp turn into banality, arresting the rhythm of the prose in a way that would seem antithetical to the gospel of Christgau—an editor who, by his own account, likes to lay “a lot of pencil” on rambling writers. Known for the compression of his tiny-but-complete Consumer Guide album reviews, Christgau seizes the chance to stretch his legs as a writer—he notes that he enjoys writing prose “with extra wontons”—but at times his stroll down memory lane can get a little poky. What I love most about the lyrics of Marquee Moon is their evocation of that youthful moment when you’re this close to figuring everything out, voicing in very few words a multivalence worthy of that adventure’s complexity and confusion—beautifully, profoundly, naively, contradictorily, romantically, kinetically, jokily, cockily, fearfully, drunkenly, goofily, impudently—so nervous and excited you could fly, or is it faint? At its best, Christgau’s frank, confiding, and unpretentious prose can perform the work of all those adverbs at once. Recalling his literary awakening at Dartmouth, he springboards into an impromptu reading of two favorite poems—one by William Butler Yeats, one by William Carlos Williams—that helped him to “map a life’s progress” toward the kind of omnivorous cultural journalism he would go on to help invent. This page-and-a-half analysis ends on a quotation of the inscription he wrote in a copy of Williams’ selected poems for his wife, with Christgau noting proudly that they’ve had the book on their shelf “forty monogamous years as I write.” It’s a lovely passage, one that combines impressively condensed textual analysis with candid critical autobiography and then weaves both into the ongoing love story that’s at the center of the author’s intellectual and emotional life. That’s the kind of tricky balancing act that Going Into the City beautifully, profoundly, naively, contradictorily, romantically, kinetically, jokily, cockily, fearfully, drunkenly, goofily, impudently—if, alas, only occasionally—manages to pull off. Going Into the City: Portrait of a Critic as a Young Man by Robert Christgau. Dey Street Books.